Karine Vanasse was nine when she first showed an interest in singing and acting. She appeared in the teen show Club des 100 watts after winning a lip sync competition. With the help of her mother, Renée Gamache, Vanasse began to audition for and land parts in TV commercials and minor or supporting roles in Québec made-for-television movies. While co-hosting a children’s science show, Les Débrouillards, producer Lorraine Richard and director Léa Pool spotted her and offered the young actress her first big break in the role of Hanna in Emporte-moi (1998), a story of a teenager trying to find her identity in a tormented family environment. It screened at some forty festivals around the world and Vanasse was given the Jutra Award for Best Actress in 2000. 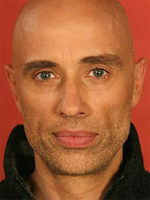 She also won a Jutra for Best Actress for her work in the 2002 film Séraphin: un homme et son péché. 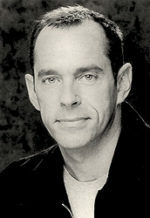 Karine Vanessa played the role of Justine Laurier in the series Blue Moon. She plays the role of Lise Delorme and is pictured with her 2019 Canadian Screen Award for Best Lead Actress, Drama Program or Limited Series for Cardinal. 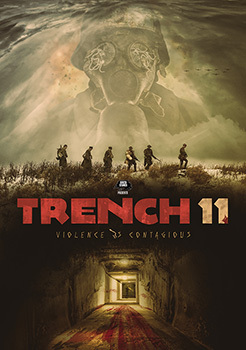 Poster for Trench 11 courtesy of Ravin Banner Releasing.